LONDON - Mackenzie McDonald’s first appearance in Wimbledon’s main draw resulted in a breakthrough, with the 23-year-old from Northern California winning three matches to reach the second week before falling to No. 13 seed Milos Raonic of Canada in the fourth round. That run moved McDonald into the ATP Top 100 for the first time and he is now ranked 77, a career-high. After winning the 2016 NCAA singles and doubles titles as a junior at UCLA, McDonald—Mackie to his family and friends—left school to pursue a professional career. The recipient of the first Oracle U.S. Tennis award in 2016, a $100,000 grant to help in the transition to pro tennis, McDonald won his first ATP Challenger title in 2017 and saw his ranking rise from 323 to 176. McDonald began 2018 qualifying for the Australian Open and taking No. 3 seed Grigor Dimitrov of Bulgaria to 8-6 in the fifth set in a second-round loss. The 5-foot-10-inch right-hander won another Challenger title in May, and reached his first ATP quarterfinal in June before receiving notice shortly before qualifying began that he had moved into the main draw at Wimbledon. Now training at the USTA National Campus in Lake Nona Florida, McDonald has been coached by Mat Cloer, a former collegiate player and coach, for the past year. McDonald’s junior development coach in the Bay Area was Rosie Bareis, with former ATP Top 10 pro Wayne Ferreira also a longtime mentor. After his loss to Raonic at Wimbledon, I sat down with McDonald to talk about his whirlwind 10 days at the All England Lawn Tennis Club, the importance of his NCAA titles, the former collegiate player he looks up to and his new goals, among other topics. Colette Lewis: You were one of the last players into the main draw at Wimbledon, when they didn't use all their wild cards. Were you prepared to play qualifying? Mackenzie McDonald: I was preparing to play qualies, I was doing everything I should have been doing. But I got the opportunity and I took it, obviously. CL: Was your 11-9 in the fifth second-round win over Nicolas Jarry your longest match ever? MM: Yes. 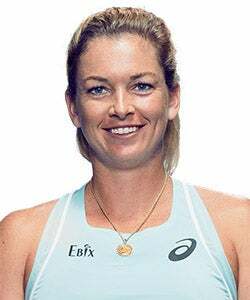 I played 8-6 in the fifth in Australia and 10-8 in French Open juniors, but in the third. CL: The fact that you could still perform at that stage, was that a statement on your physical development? MM: For sure. I've worked hard on that. My goal is to get stronger, and it's working. I've put in a lot of work, so I'm happy. CL: Are you working with a particular strength and conditioning coach in Lake Nona? CL: What makes Mat Cloer a good fit for you? MM: Mat is a good teacher and I listen to him pretty well. I just like the way he approaches the game and teaches it to me. It just clicks that way. It's a lot mental and strategic and a little less technical. CL: Do you think that's led to your breakthrough this tournament? MM: Yes, it's definitely helped. I mean we've put in so much work and Mat's done an unbelievable job with me. He works really hard. He's been fighting through everything with me. We're a tight team and it's all paying off. CL: Who is in Lake Nona training now? MM: Frances [Tiafoe], [Jared] Hiltzik, [Mitchell] Krueger, Bjorn [Fratangelo]. There's a bunch of juniors. College guys come in and out; there's always players, they aren't lacking for players there. CL: Now that you've reached the Top 100, do you need to set some new goals? MM: That was one of my goals for the year. So I'll check that one off and we'll make some new ones. There are many more goals I want to accomplish. CL: Any that you can share? MM: Win some tournaments. One of my other goals was to get to the second week of a slam, so I've just got to keep going. There's so much you can do in this sport. CL: Back in 2013, at 18, you beat Nicolas Mahut and Steve Johnson to qualify for the ATP Masters event in Cincinnati. Is that still meaningful to you? MM: Yeah, that was a really special week for me; I think about it all the time. It showed me I could do it, before I went to college. CL: How does that memory compare to winning the NCAAs? MM: [NCAAs] was huge for me, more so because of the opportunities it's given me, the U.S. Open wild card, all the support the USTA's given me. I feel like they really go for champions, guys who win tournaments and that's the tournament to win in college. I don't know what place I would honestly be in without it. I wouldn't have had the same start, 100 percent, if I didn't win, and winning doubles and singles was really special for me. That was my dream, going to UCLA, so I'm happy I got to capture that. CL: Where do you stand academically now? MM: I have a year to finish. CL: Where does this performance, the second week in your first main draw at Wimbledon, rank? MM: I have to forget about this a little bit. Now I have to turn all my attention to the hardcourt swing. Tennis - honestly, since I started, made a decision to go pro two years ago - has been go, go, go and it doesn't stop. I don't want to give myself too much time to stop and think about everything. I want to get the most out of my career and then at the end of it, I'll reflect. I didn't have the greatest junior career—I had a really good junior career, but I didn't have something to go pro—and I went to college. It was a little bit of a time for me to step back, focus on education a little bit, but also have my eyes on going pro. But now, I'm full force, just trying to make the most out of everything. CL: What on this level is different from what you've seen before? MM: I've never seen a serve like Raonic's. That's probably the biggest thing I'll take from this. His serve was a different level, something I'm not used to. CL: Are Kevin Anderson, John Isner, as former college guys, inspirations to you now, or even when you were in college? MM: They are a lot different. I didn't really look up to them from a really young age from a college standpoint, because I didn't even know they went to college. And they're such different players from me, it's like not they are really relatable. I definitely looked at Stevie [Johnson] because he was right before I went to college, and I played him. I think he's had an unbelievable career so far, so that's someone more relatable to me. I remember playing juniors and reading about him. CL: Have you had to change your schedule since your success at Wimbledon? MM: Honestly, not really. I was kind of floating near the top 100 and knew I was going to break in and I would play these ATPs anyway. But now it's nice to know that I'll be in main draw for a lot of them off my ranking. I'll play D.C., Toronto, Cincy. CL: Did you expect this? MM: I'm really happy. I'm tired right now and I've been here a long time, but yeah, there's a lot of positives to take out of this. I'm happy with how I did; I wouldn't say I expected myself to do this well but I'm not surprised. I've had good runs at tournaments before, it's just a different level. We are honored to have YONEX as the presenting sponsor of our Where Are They Now? article series at TennisRecruiting.net. YONEX is a successful global company with its corporate headquarters located in Tokyo, Japan. Subsidiary companies operate around the world, including the United States, the United Kingdom, Germany, Canada, Taiwan and China (Golf). YONEX continues to be driven to produce the most technologically advanced sports equipment to enable players, both amateur and professional, to play their sport at a higher level. Connect with YONEX on Facebook, Twitter, Instagram, YouTube, and Pinterest, - or on their website. After an injury ended her professional aspirations, Gira Schofield began looking for a way to remain close to the sport. The University South Carolina graduate discovered a passion for coaching junior players, particularly girls. Schofield sat down with Colette Lewis recently for a Q&A. Christopher Martin helped Illinois capture the program's first national title by clinching the deciding set in the 2003 NCAA final. After graduating, the finance major went right into the working world and started his own investment fund company 2 1/2 years ago. He remains in close contact with all of his college teammates. Daniel Nguyen had fallen so far behind academically in high school that being eligible for college seemed like a longshot. But a family helped get him back on track, setting the stage for a dynastical run at USC that saw him capture four NCAA team titles in four years. Colette Lewis has covered topflight U.S. and international junior events as a freelance journalist for over a decade. 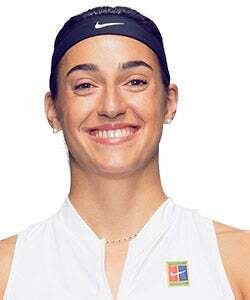 Her work has appeared in Tennis magazine, the Tennis Championships magazine and the US Open program. Lewis is active on Twitter, and she writes a weekly column right here at TennisRecruiting.net. 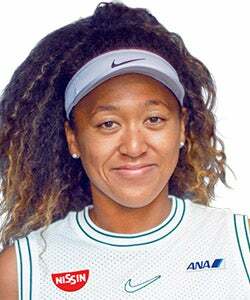 She was named Junior Tennis Champion for 2016 by Tennis Industry Magazine. Lewis, based out of Kalamazoo, Michigan, has seen every National Championship final played since 1977, and her work on the tournament's ustaboys.com website led her to establish ZooTennis, where she comments on junior and college tennis daily.